This post describes a use case of NAR software during an inspection of the Delaware Memorial Bridge that was conducted on September 18, 2018, and briefly describes feedback from experienced engineers who tried out the software for the first time. The inspection was carried out by the Delaware River and Bay Authority (DRBA), operators of the Delaware Memorial Bridge; WSP, one of the world’s leading engineering professional services firms; and Keystone Aerial Surveys, a specialist in providing quality aerial surveys. This use case demonstrates the potential of NAR, the first drone inspection software that helps you analyze data on the fly, in saving weeks on data analysis at the office and expedite work on corrective measures. According to a March 2016 survey by the American Association of State Highway and Transportation Officials (AASHTO), 33 state departments of transportation have or are exploring, researching, testing, or using drone technology to inspect bridges. Findings suggest that unmanned aerial system inspections save both time and money compared to conventional approaches. Consider that a conventional inspection of the Blatnik Bridge connecting Minnesota and Wisconsin requires four snoopers, an 80-foot lift, and eight days of inspection, all at a cost of about $59,000 (not including the cost of transporting equipment and travelling). However, a drone inspection of the same bridge would contract as a five-day project at a cost of approximately $20,000. While inspection processes involving drones are improving, one drawback of their usage is time spent on analyzing the hundreds and sometimes thousands of pictures collected during an inspection. As aptly stated to NAR by Matthew Sullivan, PE Project Engineer & Team Leader at WSP, “time at the office kills us”, referring to the time spent sorting through, organizing, and documenting pictures collected by a drone. NAR’s software seeks to close this gap, namely, between the detailed inspection process utilizing drone technology and the time spent to adequately utilize data gathered during an inspection. During an inspection of the Delaware Memorial Bridge, NAR’s software was put to the test. On trial was its ability to eliminate time-consuming work by enabling users to complete their analysis and reporting on-site, all with an eye on saving both time and money. NAR software was installed on an engineer’s dedicated tablet—separate from that used to pilot the drone—from where the inspection can be carried out. Neither the display nor other functional aspects of the tablet were affected by the installation or use of the software during the inspection. Throughout the inspection, the engineer was able to examine the bridge via a live video feed transmitted from the drone. Using NAR, the engineer was able to log a defect or an area of concern by tapping on the screen to save the image and then selecting the appropriate defect type (such as crack, concrete delamination, corrosion, missing rivet, etc.). The software automatically saved the images along with the defect type and location, transforming a raw image from the video stream into actionable data. When the inspection was completed and upon landing, the engineer terminated the inspection with a single input, at which point a report was automatically generated, containing both an outline of and detailed images of all logged defects. In this case, what would have taken weeks of drone data management and analysis at the office was completed during a single inspection period. This enabled the engineers to focus on what they do best, namely, analyzing bridge conditions and taking corrective actions. Following the trial, we were eager to gather feedback from WSP engineers. They concurred with our assessment that software like NAR can save weeks of office work and that the ability to instantly capture observations and details on-site eliminates guesswork at the office as sometimes analysis is conducted weeks after the inspection. DRBA, WSP, and Keystone Aerial Surveys count themselves among the pioneers in drone technology and have been using it to inspect and maintain the Delaware Memorial Bridge since 2016. Keystone Aerial Surveys, are responsible for conducting drone flights, as they have on multiple occasions conducted both automated and manned flights during comprehensive inspections of the bridge. Having been involved in that process multiple times, Keystone Aerial Surveys accumulated the required knowledge and expertise to determine how and what to specifically capture. 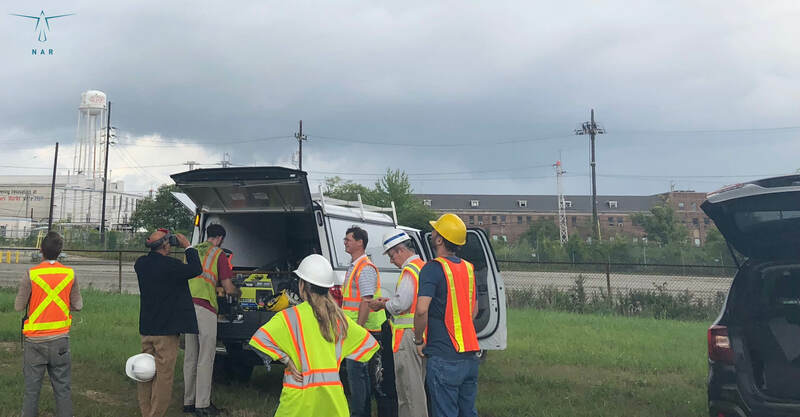 WSP, represented by Mr. Matthew Bacon, Project Manager and Mr. Matthew Sullivan, Project Engineer and Team Leader, are both experts in bridge inspections and responsible for overseeing data collection and ensuring proper data analysis. DRBA, represented by Mr. Shekhar Scindia, P.E. – Project Engineer III, have expressed their interest in employing new technologies including DJI goggles, artificial intelligence, thermal data collection, and others to improve the safety and operation of the Delaware Memorial Bridge. We invite you to try NAR for free today. NAR is the simplest, fastest, and most cost-effective way to analyze vast amounts of data collected by drones during structural inspections. 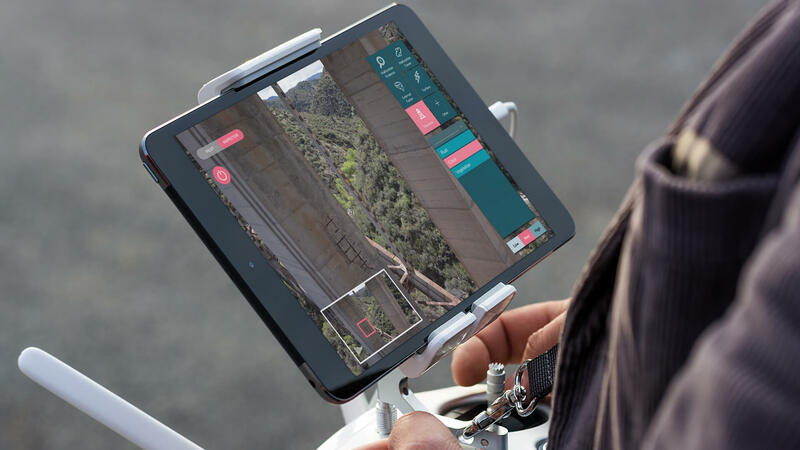 NAR is a tablet-based app that connects to your drone to assist in logging defects in real-time, avoiding the hassle and costs of data management and analysis at the office. NAR has been leveraged for 5,000+ hours of flights so far. The Delaware River & Bay Authority (DRBA) provides vital transportation links between Delaware and New Jersey. It is committed to the public safety and economic development of communities in Delaware and the four southern counties of New Jersey. The authority operates the Delaware Memorial Bridge, two ferry systems, and five airports. Ferry systems include the Cape May-Lewes Ferry connecting the shore towns of Cape May, NJ and Lewes by crossing the Delaware Bay and Forts Ferry Crossing, which drives tourism traffic to the historic forts on the Delaware River from Fort Delaware to Fort Mott, NJ. DRBA is responsible for the Delaware-based airports Wilmington (ILG), Civil Air Terminal at Dover AFB, and Delaware Airpark, as well as the New Jersey airports Millville and Cape May. At WSP USA, our expertise lies at the intersection of infrastructure and skylines we have helped shape from coast to coast. We can meet your needs with cross-disciplinary services across multiple sectors and markets including advisory; buildings; water and environment; energy; and transportation, and infrastructure. Our professionals have planned, designed, and managed the construction of some of the most iconic high-rise buildings, bridges, highways, tunnels, and transit and rail systems across the United States. Some of our most notable projects include major expansions of the New York and Los Angeles transit systems, as well as iconic buildings such as One World Trade Center and 432 Park Avenue in New York City, the Salesforce Tower in San Francisco, and the U.S. Coast Guard Headquarters in Washington, D.C.
Keystone Aerial Surveys, Inc specializes in providing quality aerial surveys. Keystone has flown millions of survey miles throughout the United States on projects with varied specifications. We have four locations: Philadelphia, Pennsylvania (headquarters); Tyler, Texas; Reno, Nevada; and Los Angeles, California. The flight department has considerable experience collecting airborne imagery at high and low altitudes in several formats including digital, film, and LiDAR. Keystone also collects and processes both Airborne GPS (ABGPS) and Inertial Measurement Unit (IMU) data.